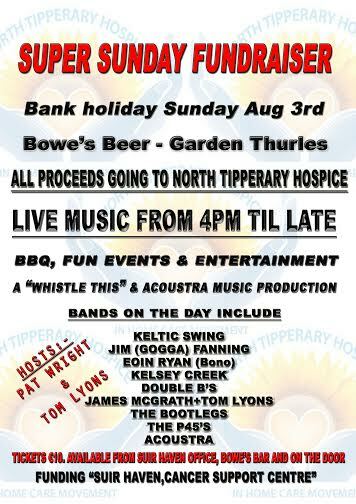 A great fundraising event is taking place on bank holiday August 3rd in Bowes beer garden Thurles, where local bands and Bowes bar themselves have joined forces to raise funds for the North Tipp Hospice. The hospice manages and funds the local “Suir Haven” cancer support centre in Thurles along with “Suaimhneas” in Nenagh. “Both centres are community based where everyone is welcome whether one is living with cancer or affected by it including family, carers and friends. The centres offer emotional support, practical help and information in a safe, positive and confidential environment. All of the services are provided free of charge. There is a director of services employed in each centre and all others who work there are volunteers. Without our volunteers the centres would not be viable. We depend on volunteer therapists, counsellors, meet and greet people, outside and inside maintenance people”. 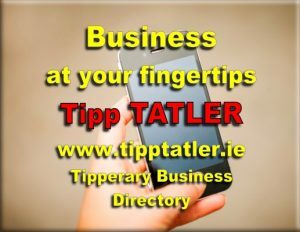 Thurles is lucky to have such a great service locally which has been of great benefit to so many people, and when searching for a charity to run the event for North Tipp Hospice was an obvious choice, especially after meeting with Suir Haven representative Maria McGrath who was thoroughly delighted the event was taking place and has given 100 % support. There will be volunteers from Suir Haven present on the day to help with the running of the event. The initial idea was the brain child of Pat Wright and John Kenneally both from Trad Rock band Acoustra, and as soon as they pitched the idea to Publican Michael Bowe and local musician Tom Lyons the ball started rolling straight away. Tom runs a very successful singer songwriter night on the 1st Friday of every month in Bowes called “Whistle This” and a lot of the bands performing at the fundraiser on the day are regulars from the event. Tom has organised the bands and will be there all day, hosting and playing along with some of the musicians. There will be great music all day with all bands providing their services for free. The day will kick off at 4pm with the brilliant Keltic Swing, Joe and Pj of the group volunteered straight away. The music will run until late with such bands as Jim Fanning and Friends, Eoin Ryan (Bono), Kelsey Creek, The Double B’s, James McGrath, The Bootleg’s, The P-45’s and last on stage will be Folk/Rock/ Trad band Acoustra, which features local accordion player Pat Wright they will also be joined by Tom Lyons on electric guitar. There will also be a late night jam session on stage in the main bar from 10 pm. Along with live music there will be a free BBQ, fun events and entertainment. Tom Lyons and Pat Wright will host the event and keep everything running smoothly. Tickets cost €10 and can be purchased from Bowes Bar or at the door on the night. People are advised to come early and hear as many bands as they can. 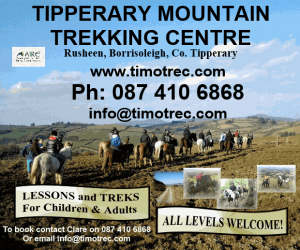 All proceeds are going to the North Tipperary Hospice so the event hopes to attract a large crowd and raise some badly needed funds.